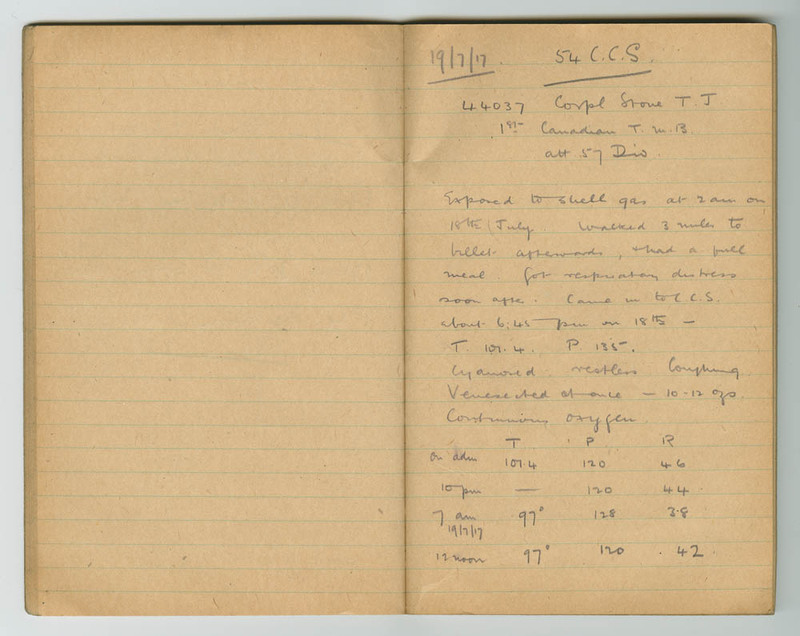 One page headed "19/7/17" of John William McNee's notes on shell gas exposure from his notebook "Gas Cases". The notebook is stamped "Mobile Laboratory No. 3". These notes concern Corpl. Stone of the 1st Canadian T.M.B., attached to 57th Division. Copyright, public domain: McMaster University owns the rights to the archival copy of the digital image in TIFF format.